One of the most inventive and beautiful art genres of our time is the digital space art. 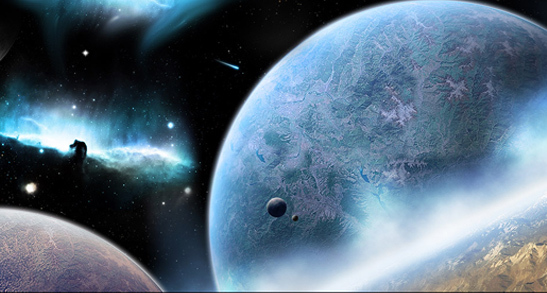 If you are passionate about space, science, planets and stars, this list of brilliant space Photoshop tutorials will definitely appeal to you! For the majority of the tutorials in this list, you won’t use any stock photos or any material at all besides Photoshop filters, effects and blending modes. This will also help you to enrich your Photoshop knowledge. 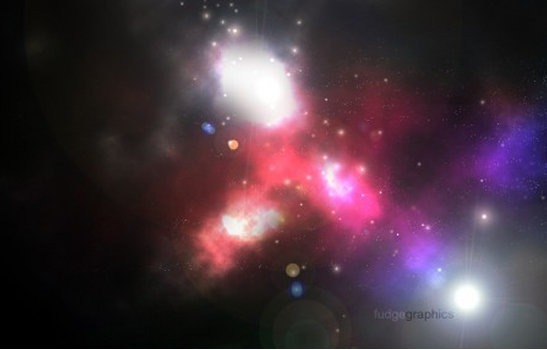 You will create a vibrant and lifelike images of space, planets and stars with tools found in Photoshop. For most of the effects needed in order to create these images, you will use the brush tool, layer effects and the filter gallery. You may want to set aside an hour or two before starting any of these space Photoshop tutorials, because they require quite a bit of work to accomplish. But don’t worry – your hard work will pay off and in the end you will be a Sci-Fi & Space Photoshop expert. Let’s get those creative juices flowing and let’s get started. In this tutorial, the author will show you the steps you have to take in order to create this detailed meteorite and surrounding space environment in Photoshop. This is an intermediate level tutorial, but beginners may try it as well if they want to learn some tricks! Learn how to create this gorgeous sci-fi inspired cosmic space scene in Photoshop by following this step by step guide. 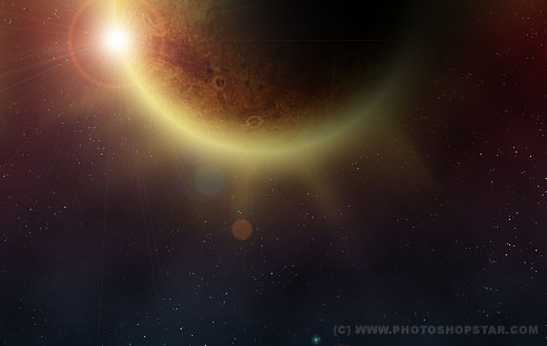 Learn how to draw the planets, nebula and even the bright lens flares. 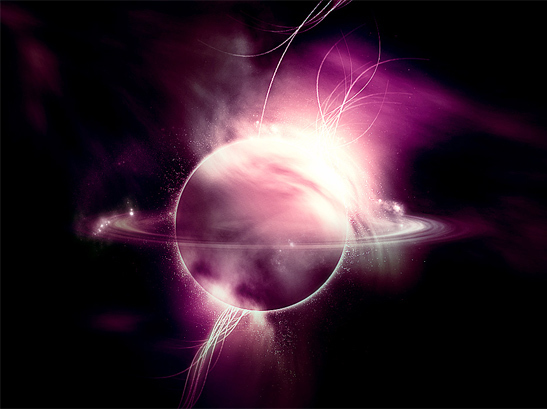 In this Photoshop tutorial you will learn how to create an image of outer space. If you’re passionate about science, space and sci-fi movies, then this tutorial should make you really happy. This great tutorial will show you the steps needed to create an awesome abstract nebula circle shape in Photoshop. 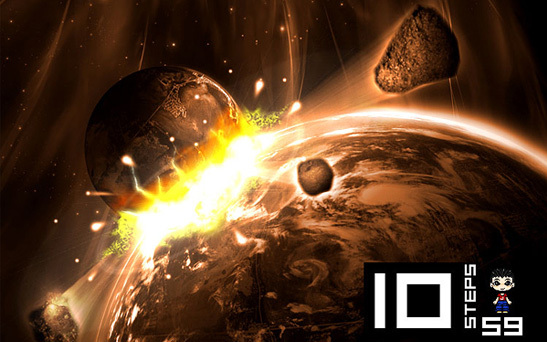 learn how to achieve all these sci fi effects, with ease. This awesome tutorial is part of a 4-part series of tutorials about space, living on other planets and all things sci-fi. 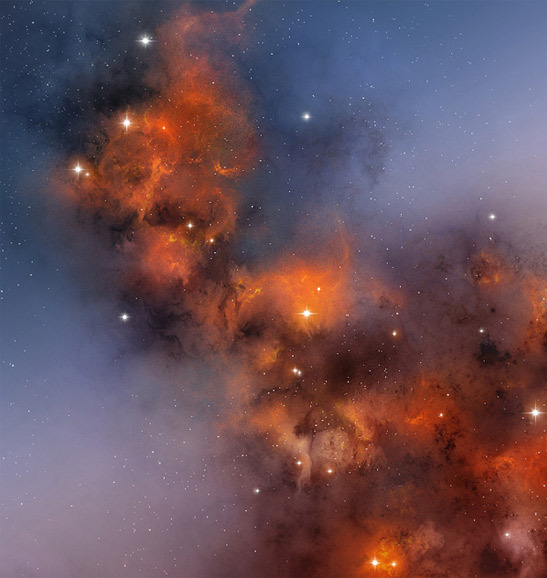 Learn how to depict your own cosmic scenery, by following this step by step tutorial. Use what you learn to create amazing illustrations. 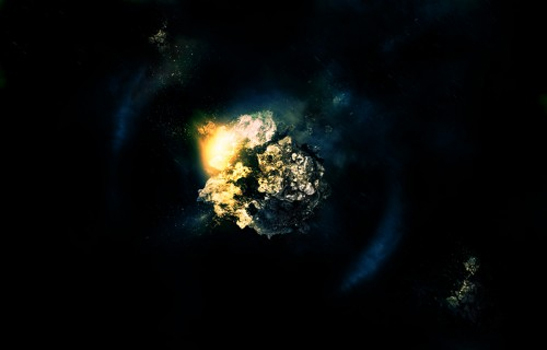 Learn how to create a realistic outer space image in this Photoshop tutorial. You won’t be needing any stock photos or any material at all besides Photoshop filters, effects, and blending modes. 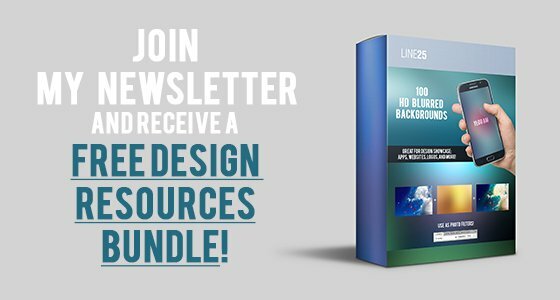 These Photoshop techniques may prove useful for other graphic design projects as well. 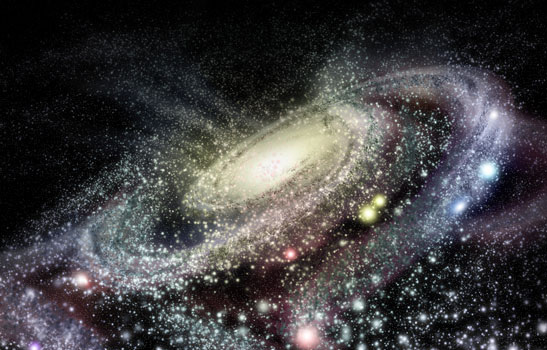 Are you passionate about stars and planets? 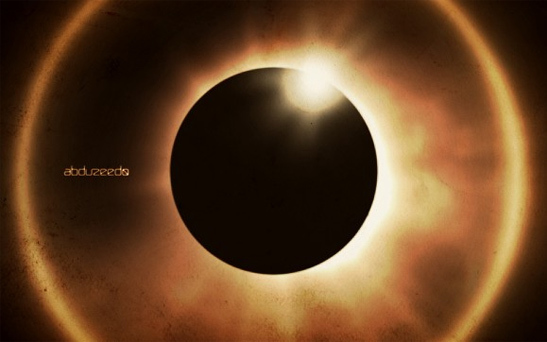 Then you need to learn how to create a cool eclipse effect in Photoshop! Use these techniques to create beautiful sci fi backgrounds. 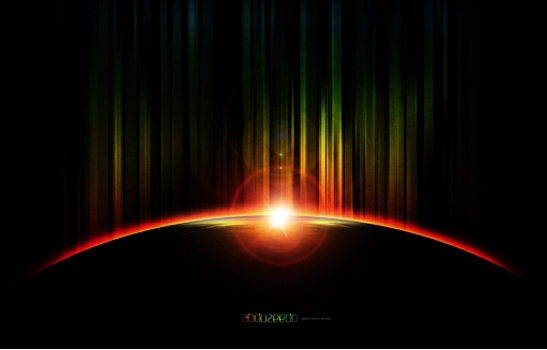 Learn how to create a red giant star in Photoshop! 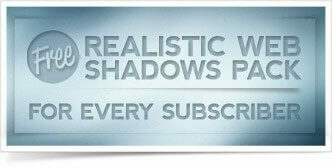 This tutorial also includes about an hour of video instruction to help you along the way. These effects can be applied to other types of illustrations as well, such as creating fire in Photoshop. 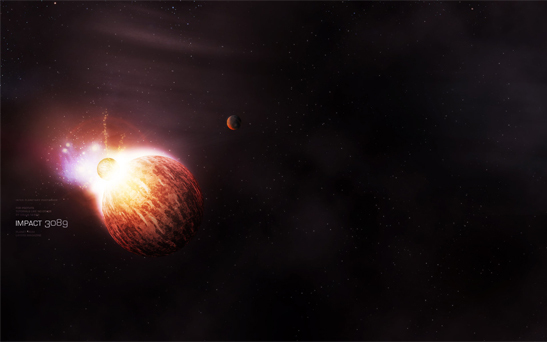 In this tutorial, the author will walk you through creating a spectacular space scene featuring two planets colliding. Doesn’t this look awesome? Learn how to create it in just a couple of hours. 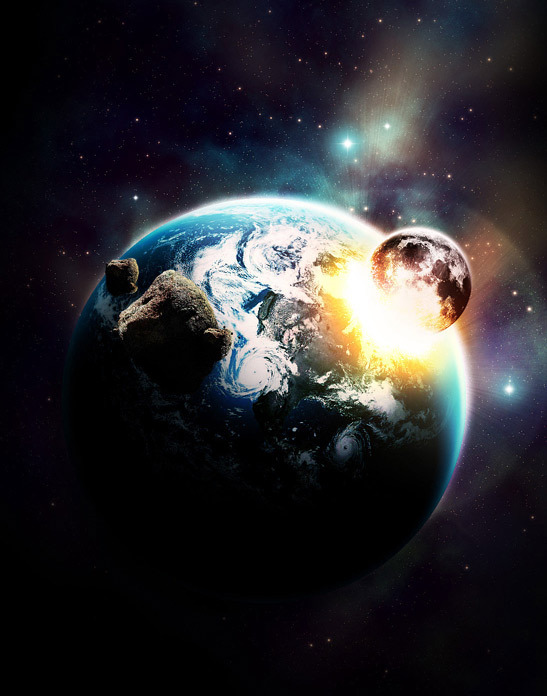 This intermediate level Photoshop tutorial will teach you how to draw a planet, star and meteor impact in Photoshop in a quick and effective manner. Learn how to do this realistic illustration in just a couple of hours. 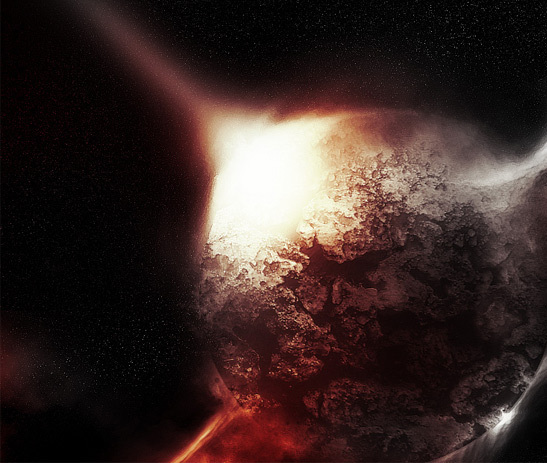 This tutorial is about creating space landscape in Photoshop. It is not difficult to follow and it will teach you how to create a solar eclipse in space. It’s for beginners as well, so don’t worry about the difficulty level. Learn how to create planet rings with Photoshop in 8 easy steps with this tutorial. It will guide you through all the steps needed in order to recreate this cool effect which you can use for other types of projects as well. 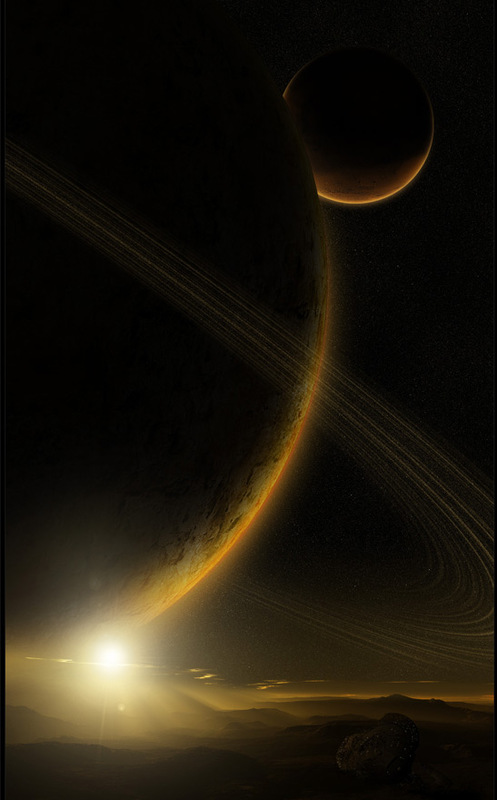 In this intermediate/advanced design tutorial, you are going to learn how to create a stunning space scene that has realistic planets, stars, and lighting effects. You will be taught how to use a few innovative Photoshop techniques and some textures. These methods can be applied to other types of illustrations as well. Learn how to easily create a planetary ring and how to use the Cloud and Twirl tools in Photoshop. This is a simple tutorial, even for beginners, but if you already have some experience with Photoshop, you should be able to finish it quickly. 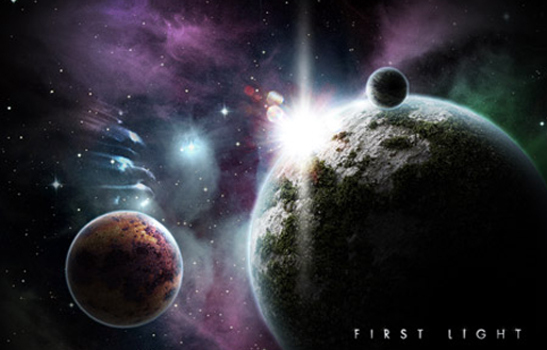 Learn how to create awesome, dreamy planets with this great Photoshop tutorial! It includes all the explanations and it can be finished in about an hour. This great tutorial will teach you how to create a very easy eclipse effect in Photoshop! Learn how to do it in this step by step tutorial with all the needed explanations. This easy to follow tutorial will show you how you can use images in order to create awesome space images. Learn how to master these techniques and use them in other illustrations too. 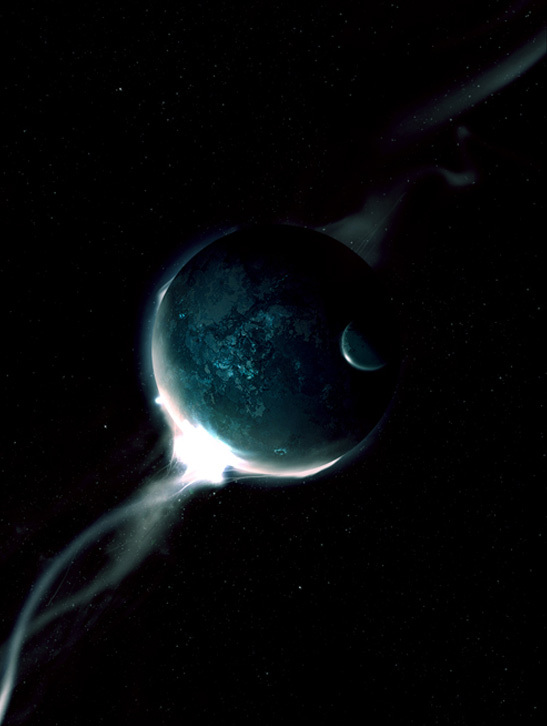 This guide teaches you to create a dark space environment in a step-by-step tutorial. The explanations are clear, easy to follow and you should learn how to do it in no time! 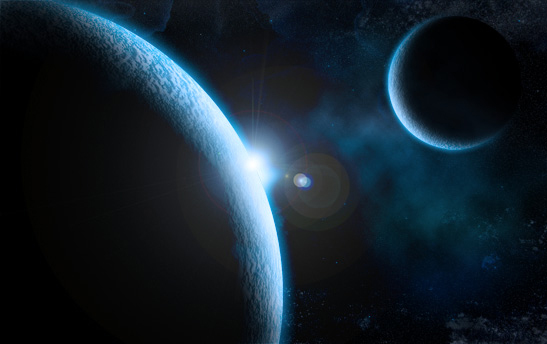 This tutorial shows you how to create your own space scene using stock photos and Adobe Photoshop. You will be able to apply these techniques in other types of projects as well. 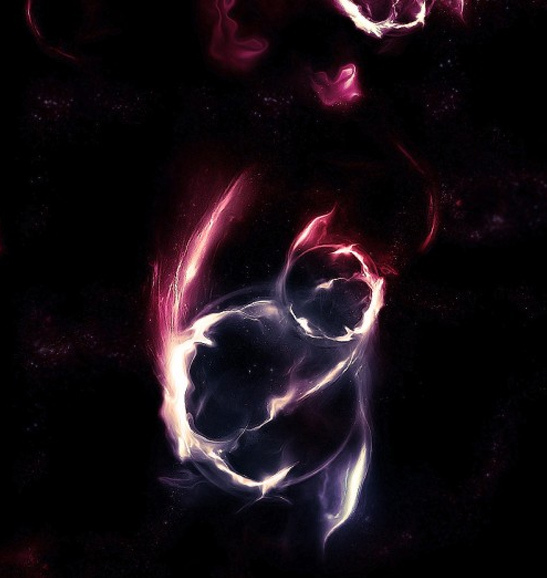 Create a mesmerizing nebula with this Photoshop tutorial and learn how to do it yourself by following this author’s easy steps. This completes our list of 20 hand-picked Photoshop tutorials for space and sci-fi related projects. If you’ve found these tutorials helpful, say something in the comments below! Everything is possible with Photoshop as long as there are complete resources. We can do a variety of wonderful things using PS. There are so many tips and tricks or even tutorials like this on how making something impossible to a possible one. Can’t wait to try out one of these.